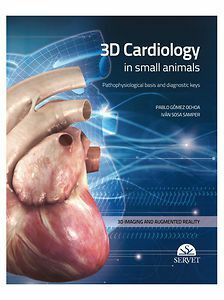 A guide in which the main cardiac diseases in the dog and cat will be represented in a very visual manner. The target audience is vets, who will be able to use this guide both as a reference and as an aid to explain diseases to pet owners. The graphic material consists of 3D illustrations, augmented reality, and diagnostic imaging pictures.